With just one month away the developers have given the fans a hint of a new FIFA 19 mode. 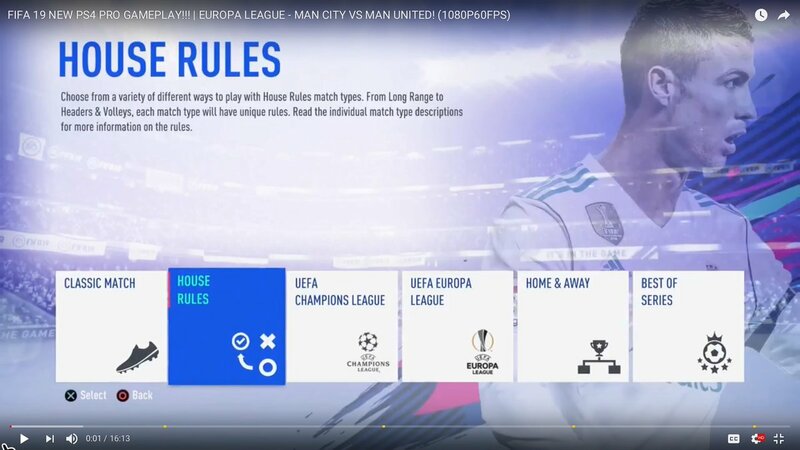 EA has named this mode as FIFA 19 House Rules mode. Moreover, the developers haven’t revealed this mode yet. But here are a few things we know about FIFA 19 mode according to some internet sources. A YouTuber recently discovered this House Rules mode. 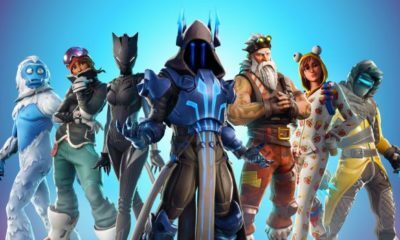 Furthermore, the Youtuber has claimed that the mode will feature 11 vs 11 matches. This thing is worth noting here that there are still uncertainties about this FIFA 19 mode. The Youtuber didn’t stop here. He further revealed that every time a team will goal it will lose a player. In the end, the team with the least players and most goals will win the match. He also claimed that this new House Rules mode will be available for the players to play both online and offline. If this new FIFA 19 mode is really happening then it will really be a great experience for the fans. This mode can provide players a break from those old boring modes. However, this is not a new concept at all. EA has already used this mode in FIFA street titles before. Therefore, we can assume that FIFA is planning to bring the FIFA Street game back and using FIFA 19 as a test for this mode. Also, for those players who want to try the game before the launch, a demo version is coming their way. ES has confirmed that FIFA 19 Demo version is releasing on September 20. However, only the players with EA Access subscription will be able to play the demo. With this new FIFA 19 mode, it seems that this franchise will provide a fresh experience to its fans. We hope that the developers keep on creating new modes to keep their fans engaged. FIFA 19 will launch on PC, PS4 and Xbox One on September 28. Since my childhood computers just attracted me as much as Super Sports Cars. Gaming is like the second profession to me, next to writing about them. Technology has revolutionized the world around us. So, here I am giving you a little taste of that revolution.